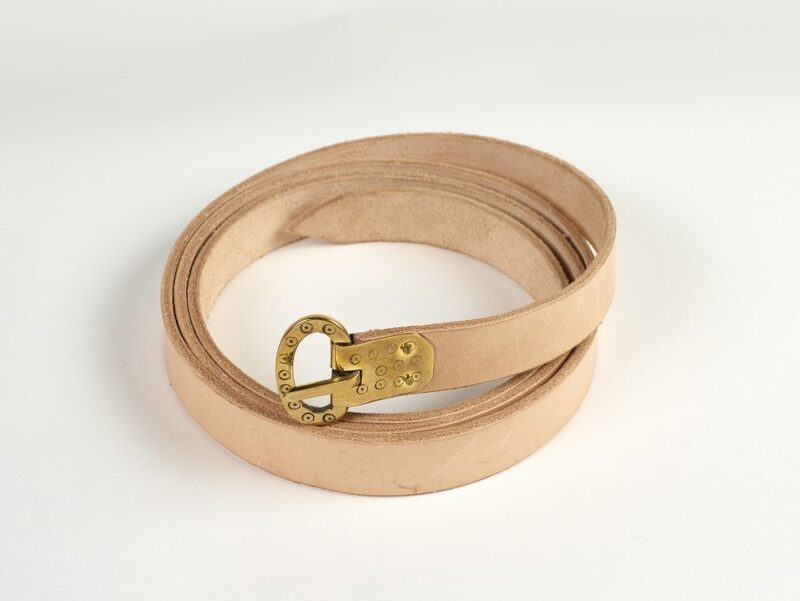 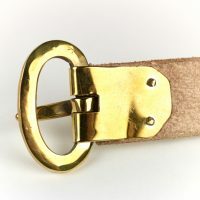 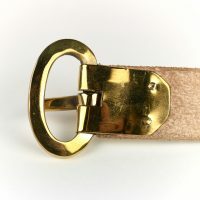 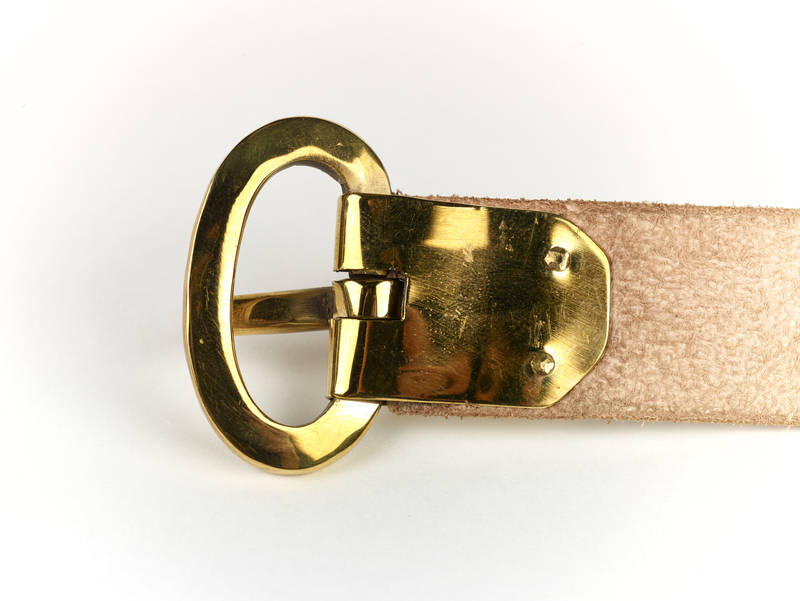 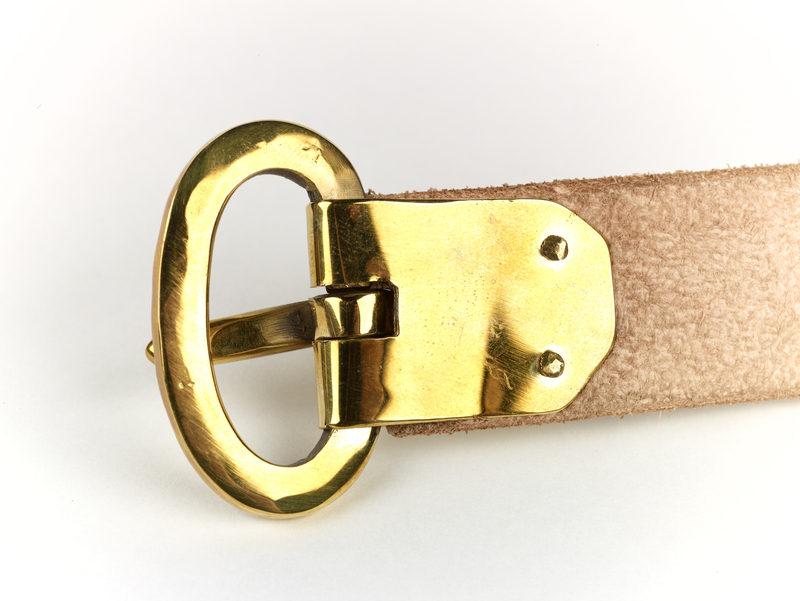 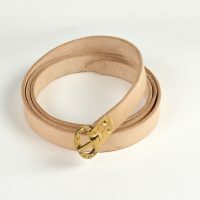 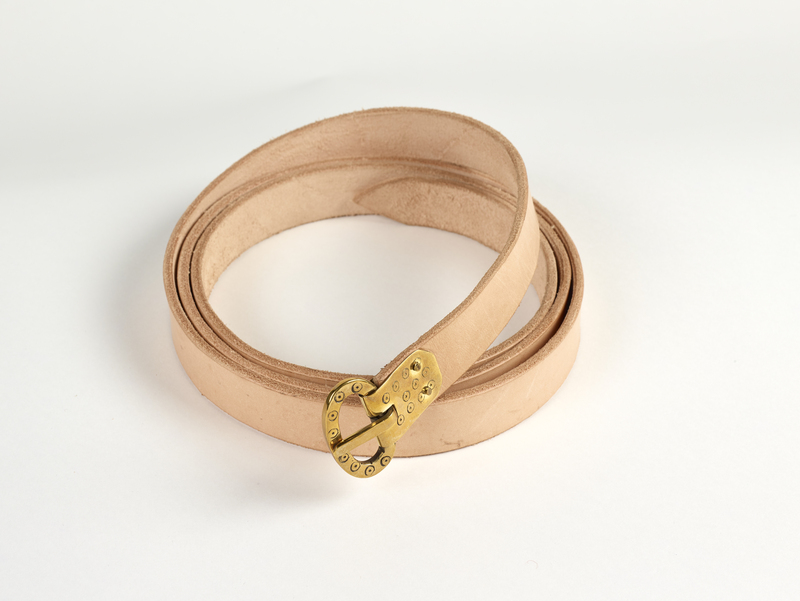 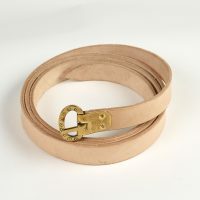 A vegetable-tanned leather belt with a decorated copper alloy belt buckle. 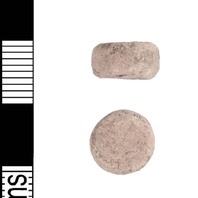 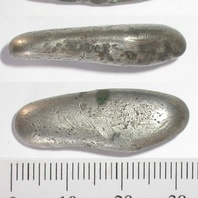 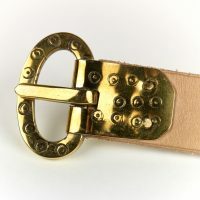 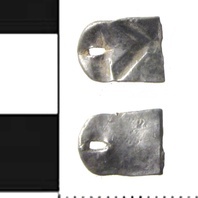 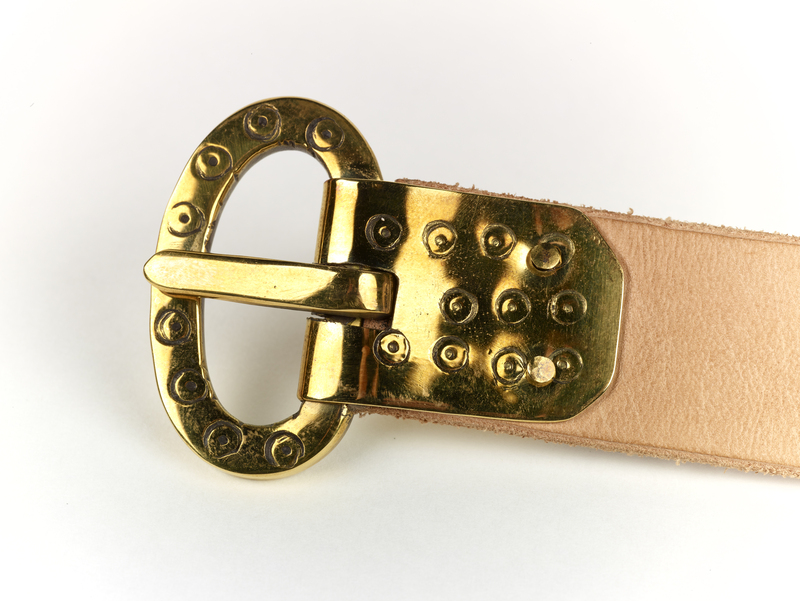 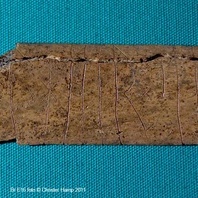 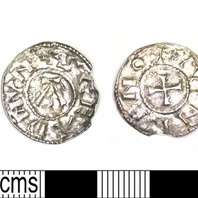 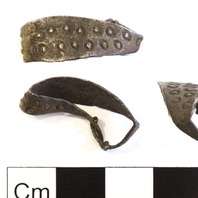 The buckle has a ring and dot pattern and is based on one found in Grave 511 at Repton, Derbyshire. 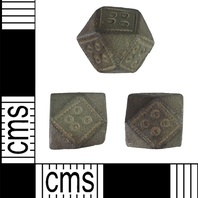 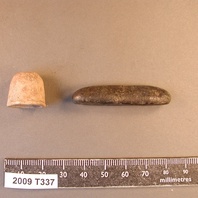 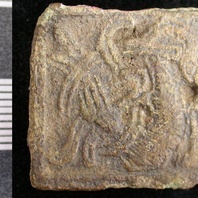 This object is related to Repton, Derbyshire. 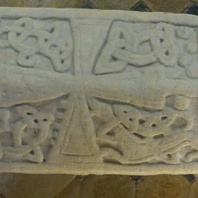 Find out about Repton, Derbyshire.